Want a golf course home? They’re a symbol of your success and the views are great. 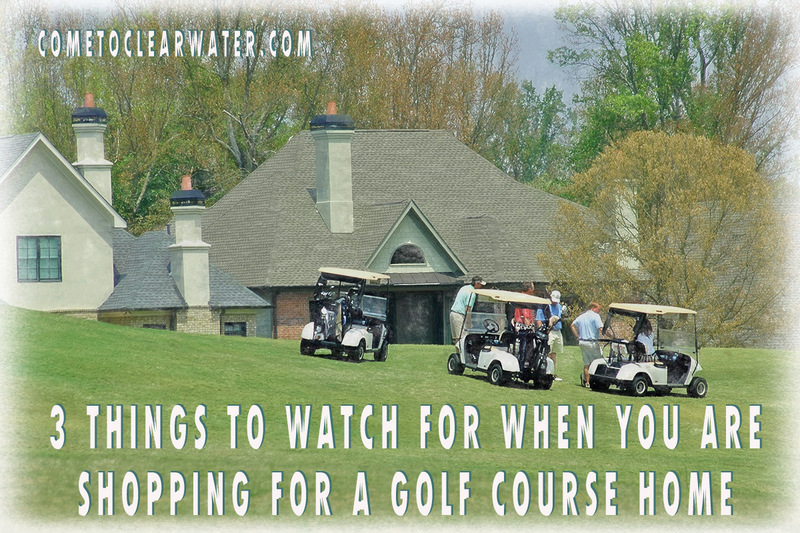 There are a few things to watch for when shopping for a golf course home. Here are a few. A few obvious items are golf course noise and hazards. Tour the home on a weekend afternoon when golfers are out and about. 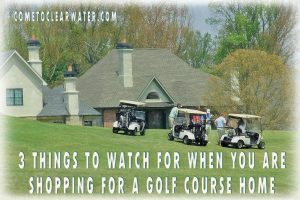 If your home is close to a tee box or tee off area people tend to chat a lot and it can be noisy. Look for signs of whether the house or the yard is getting hit by golf balls. In Florida many golf course homes are made from stucco which are particularly susceptible to damage from golf balls. Also look to see how private your yard and home really are. Remember that if you can see the fairway, they can probably see you. Golf carts can be a nuisance too. Even though electric powered golf carts are quiet, if the course has a cart path rule (meaning that golfers have to use cart paths which are closer to the edge of the course) are by proximity also closer to you home and gas powered ones are noisy. Don’t think for a minute that your homeowner’s association will let you do whatever you want or need to do to ensure your privacy or lack of damage. Try asking them to allow you to put up a fence or a net to keep balls off your home or land and watch how fast they tell you no. Something to keep in mind as you shop. Think that golf course is an extension of your backyard? Think again. Your yard is your yard and you will need to keep to it. The course isn’t a run for your pets or kids. So ask the size and line where your yard stops and the course starts.